YoUDee Is Back On Top! After a HENergetic routine, The University of Delaware’s Fighting Blue Hen, YoUDee is back on top in the Open Mascot Division! With the win this weekend, YoUDee now holds 8 UCA Mascot National Championship titles. 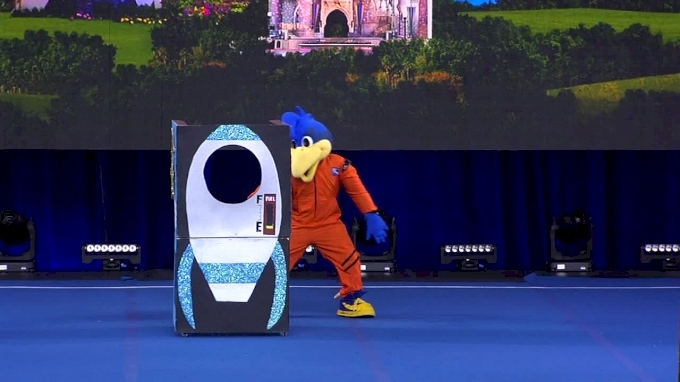 [WATCH] YoUDee's Winning Open Mascot Routine! Stick around all weekend long to watch your favorite spirit programs take the floor at the 2019 UCA & UDA College Cheerleading and Dance Team National Championship!